This spring, Debra Sennefelder joins the ranks of authors who have entered the strange parallel universe that is cozy mystery land, where murder lurks around every seemingly harmless corner and the most innocent of activities can lead to the greatest danger. Her upcoming series launch features a sleuth with an unusual and distinctly modern occupation. 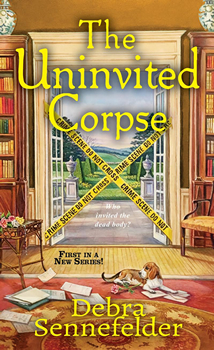 In THE UNINVITED CORPSE, food blogger Hope Early sets out on a spring garden tour in the quaint town of Jefferson, Connecticut, only to find herself tracking a killer in order to clear her sister’s name. 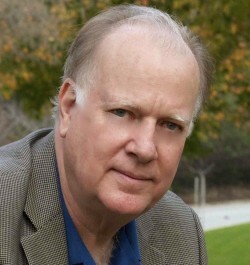 The Big Thrill recently caught up with Sennefelder to talk about the unique demands of crafting killers, sleuths, and villains for the cozy mystery market. THE UNINVITED CORPSE is your debut novel. 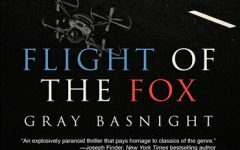 What does it feel like watching your first book take off? A debut release brings on many feelings. It’s exciting to see a manuscript I began working on at my dining table turned into a real book. It’s satisfying to see all the work that went into writing, revising, and editing the book pay off. And it’s also scary because I have no idea of how it will be received. It’s definitely a roller coaster of emotions. What have you learned about publishing that you wish you’d known before? There’s a lot I knew about the publishing process before I sold the series, but what I didn’t realize was how slow the process can be and then in a flash, everything needs to be done all at once. I’ve come to appreciate all the parts of the publishing process and how they play out, and I was much better prepared when I began work on the second book in the series. You enjoy books with strong female protagonists. Can you share some of your favorites with us? One of my much-loved female protagonists is Allison Brennan’s Max Revere. Katherine Hall Page’s Faith Fairchild is a long-time favorite, and it’s her series that got me to seriously consider writing cozy mysteries. I enjoy Hank Phillippi Ryan’s Jane Ryland character tremendously, as well. Who is your favorite classic-age female amateur sleuth? And why? Miss Marple! I love that she’s an unassuming spinster with a keen eye and not afraid to ruffle feathers. She doesn’t stop until she uncovers the truth. I adore that character. Food seems to be an important element in your stories. Would you care to expand on why that is? I love to bake and cook so when I decided to write a series I wanted to make sure I wove that into the books. And it also helps that when Hope Early shows up at someone’s house with something freshly baked from the oven, people open up to her. 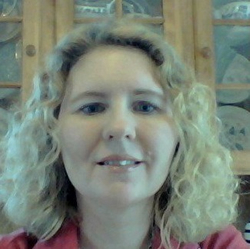 Talking of Hope, the story starts with her promoting her blog, and her tips for housekeeping. So I have to ask if you’re a busy person around the house? Do you have any tips for those of us who aren’t? Hope Early’s blog, “Hope at Home,” focuses on food and lifestyle. She loves a good cookie recipe, a fun do-it-yourself project and a good tip on how to streamline work around the house. When we first meet Hope she’s sharing her best spring cleaning tips with a radio audience. She and I do have a lot in common. Like her, I love a good spring cleaning session and I love to bake a batch of cookies. I’m definitely not a writer who can let the dishes pile up, let the laundry go for days, or not vacuum. Today I’ll be doing laundry while I’m writing. I like things neat and organized, especially my desk. Tips? I use a day planner to keep track of my tasks and projects—professional and personal. I use lists to keep me focused, and over the years I’ve learned how long certain tasks take because I may not have a block of an hour or more. But if I have 15 or 20 minutes, what can I do during that time? That works for housekeeping tasks as well as writing tasks. Do you have a favorite character from THE UNINVITED CORPSE? Who was easiest to write and who gave you problems? I’d have to say my favorite is Hope Early herself. As she’ll be the main character of every book, I really need to have a deeper connection to her, even though she’s not the easiest character to write. That would be Drew Adams, Hope’s best friend. He’s also a local reporter and when he shows up on the page the words just flow with him. He’s a little dramatic, a little self-absorbed, but he has a heart of gold and loves Hope. The character who gave me the most problems was the killer. I’m not really sure how to expand on that without spoilers, so I’ll just say the killer was a challenging character to write because it’s really hard to hide that dark of a side in someone. As an author, what are your feelings toward “your” victim? As a reader, do you want the victim to be unlikeable or sympathetic? Great question. For me, either as an author or reader, it depends on the story. [The first victim in AN UNINVITED CORPSE] is an unlikeable character, but I think by the end of the book you’ll see there’s more to her than what the residents of Jefferson saw on the surface. Jumping ahead just a bit, in the second book the murder victim is a well-liked, respected person. Whether the victim is likeable or not, the search for the truth and justice has to happen and I’ve found that in the guise of light-hearted stories, the amateur sleuth in cozies is willing to push boundaries and risk not only relationships but her own personal safety to get to the truth. She is a member of Sisters in Crime, International Thriller Writers and Romance Writers of America.